Summary: This essay explored how disintermediation, the removal of gatekeepers and processes, occurs higher education. The authors identified industries affected by digital disintermediation including newspapers, video renting, and video games. Disintermediation has also affected law, architecture, and engineering professions through increasingly sophisticated technologies and economies of scale. 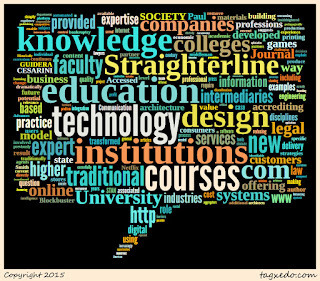 Higher education is subject to disintermediation, particularly with for-profit institutions, learning management systems, and textbook publishers. The significant cost reduction represented by the for-profit Straighterline ($999 for a year of education) makes even the cost of community college look exorbitant. 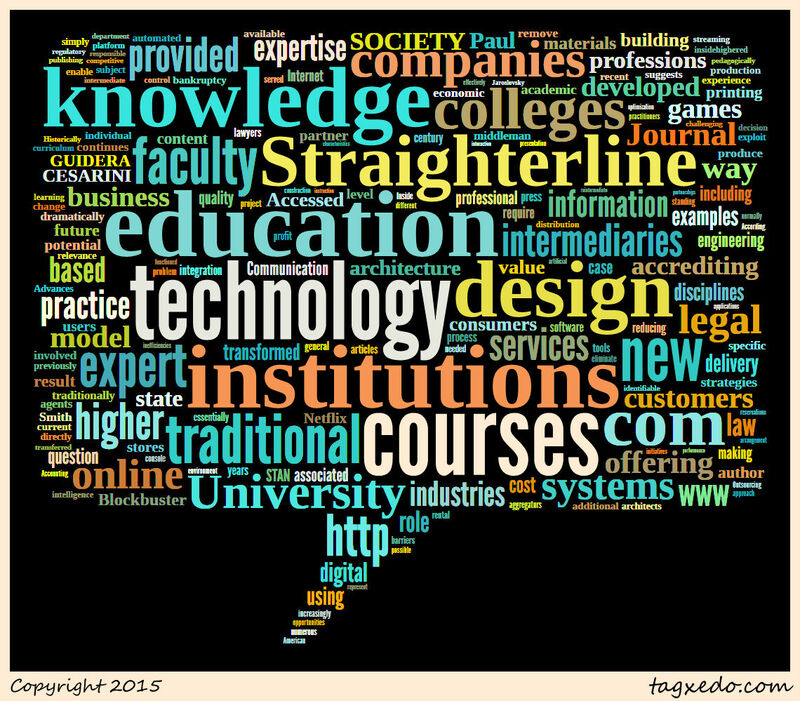 The authors identified the benefits of Straighterline (start classes anytime, lower costs, access course anytime), and its limitations (questionable quality, inconsistent accreditation, problems of transfer, poor services outside the course content). They also mentioned pre-made courses from textbook publishers and learning management systems, along with their potential integration into colleges or becoming their own learning institutes. The article identifies how reintermediation—when an industry reintroduces intermediates—would happen in higher education. Their four recommendations were holistically introduced and use the technologies that are being use to bypass higher education, more strongly implement a hybrid format, utilize the economics of scale to increase access and affordability, and recommit to higher education as creators of knowledge and not places to acquire it.